The UTME, Direct Entry and Transfer lists of 2017/2018 Admission exercise into various degree programmes have been released. Prospective candidates who participated in the Admission screening exercise can check their admission status via the Undergraduate Admissions portal. Earlier post: All admitted candidates are hereby directed to pay the sum of forty thousand naira (N40, 000.00) only as Acceptance Fees for the Provisional Admission offered. Please visit the Undergraduates Admission portal at http://admissions.uniosun.edu.ngfor more information and guidelines. 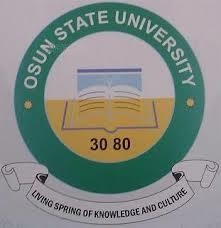 § Finally, click on the sign in button to check your UNIOSUN admission status. Congratulations to all candidates who have been offered admission into UNIOSUN for the 2017/2018 academic session.